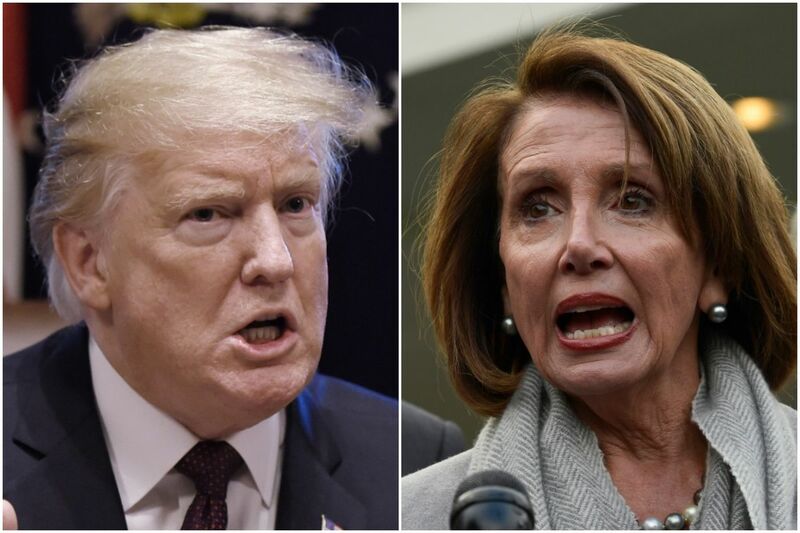 On Monday, Nancy Pelosi (finally) re-invited President Trump to come to the House of Representatives to give the State of the Union Speech- SOTU- on February 5, according to the Washington Examiner. It only took over a month, a lot of back and forth between her and the President, a few snitty moments, and a plastic smile. The final agreement was seemingly cordial and polite. 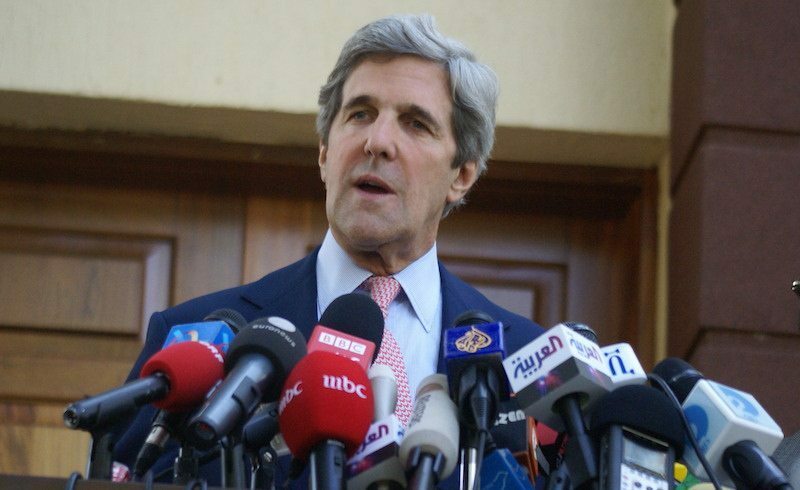 Protocol says that the Speaker of the House must invite the President to deliver the State of the Union speech. 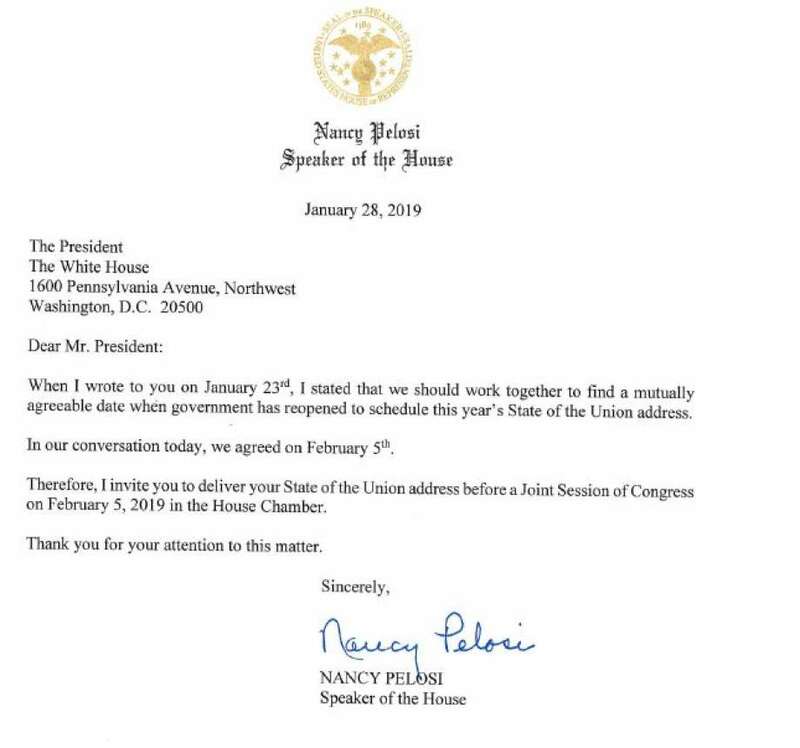 Originally it was scheduled for January 29, but Nancy Pelosi scrubbed that date and told the President she didn’t want him delivering it during the shutdown (due to security reasons she claimed). The DHS didn’t take kindly to her statement about security. As the tension escalated and Trump threatened to find another venue, he finally acquiesced to her and said it was “her prerogative” and he would not give the speech until after the shutdown. On Monday, Pelosi sent him the invitation, to which the President readily agreed, and even thanked her. The State of the Union speech is mandated under Article II Section 3 of the US Constitution, but must be agreed upon by both House and Senate. It is steeped in tradition and protocol. This will be Trump’s first SOTU in front of a Democratically controlled House, so the petulance and disrespect may be apparent. It will likely be one of the most difficult speeches he will ever have to give.